Dec 11 - The 4 Climate Technologies that Ernest Moniz says "We Must Pursue Right Now"
Oct 12 - Could China take the lead in CCS? Launching the Shand Study in Edinburgh. 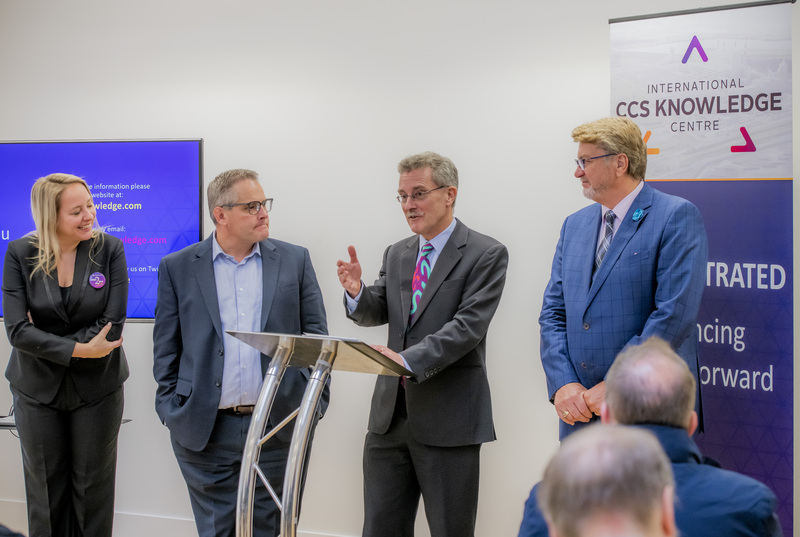 significant cost reductions for carbon capture and storage (CCS) was released today by the International CCS Knowledge Centre (Knowledge Centre). The release coincides with the International CCS Summit hosted by the Government of the United Kingdom and the International Energy Agency (IEA). The summit is gathering in advance of COP24 - the United Nations' climate conference, scheduled for Poland next week. 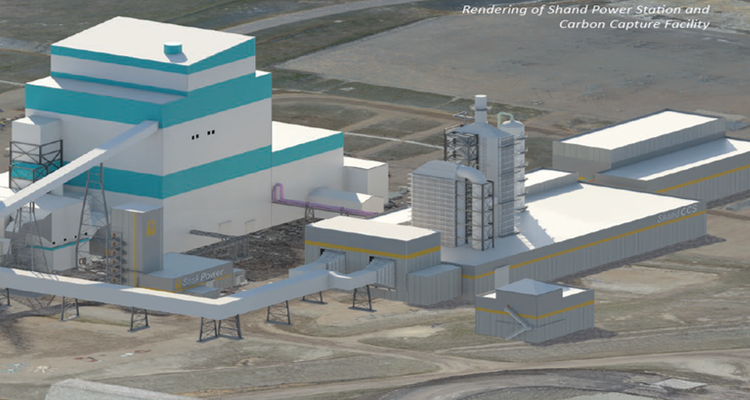 Deep capital cost reductions – a 67% decrease per tonne of captured CO2 in the case study provided in the report – is one of the key findings in the Knowledge Centre’s Shand CCS Feasibility Study. For a technology that has been perceived as expensive, the report is welcome news to those that recognize the essential role that CCS must play in addressing climate change. 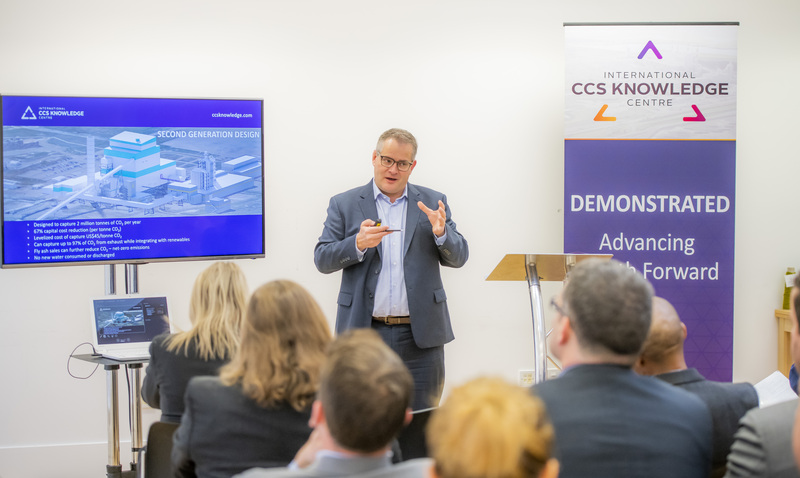 reduction based on operating and design experience gained from early projects, and further innovation yet to come, CCS is now positioning itself in a range of industries to play a critical role in delivering climate goals. A meaningful reduction in process complexity, allowing efficiency gains to be maximized. “World-wide deployment of large-scale CCS could be one important step closer to broad deployment in a range of industries to support international climate change goals. We look forward to early engagement with deployers to maximize cost savings and efficiency gains." - Kenji Terasawa - Representative Director (Member of the Board), Executive Vice President, MHI Engineering Ltd. The Shand Study was completed to the American Association of Costing Engineers (AACE) guidelines for a class 4 estimate, and applied innovative approaches in design and technologies, leading to encouraging economic outcomes for future CCS. The study shows that compared to the Boundary Dam 3 CCS project (BD3), a CCS system at Shand could see capture capital cost reductions of 67% per tonne of CO2 captured as well as 92% in potential savings to power plant integration capital cost. Based on the model, the levelized cost of captured CO2 is calculated at $45US/tonne. Second generation CCS can capture more emissions at lower loads (i.e. power generation) such that more than a 90% capture rate is possible. This means that CCS has the potential to integrate well with renewables which provide a varying load. CO2 capture rate could be up to 97% at 62% electrical load. The Shand CCS system would be designed without the requirement of additional water, mitigating a key constraint for thermal plant operation retrofits and expansions. At this site, up to 140,000 tonnes per year of fly ash would be saleable to the concrete market (subject to demand), which could offset emissions in concrete production. This equates to a potential net reduction of 125,000 tonnes of CO2 each year resulting in a facility with net-negative CO2 emissions. The Shand CCS project design capacity is nominally 2 million tonnes of CO2 captured per year – twice the initial design capacity of BD3 (this economy of scale reduces costs). IEA Greenhouse Gas R&D Programme (IEAGHG): What is CCS? About the International CCS Knowledge Centre (Knowledge Centre): Operating since 2016 under the direction of an independent board, Knowledge Centre was established by BHP and SaskPower with a mandate to advance the global understanding and deployment of large-scale CCS to reduce global GHG emissions. The Knowledge Centre provides the know-how to implement large-scale CCS projects as well as CCS optimization through the base learnings from both the fully-integrated Boundary Dam 3 CCS Facility and the comprehensive second-generation CCS study, known as the Shand CCS Feasibility Study. More information about our studies, click here.